Long waited iPhone OS 4.0 gonna be shown in press on April 8, 2010 at 10 AM pacific time. A close press release will show the demo only few of the big news media are only invited. Though apple will show the OS 4.0 not gonna release in April as the software not being ported to it and the developer till did not get the OS on hand. What may be on OS 4.0? We expecting a firmware update 3.2 / 3.1.4 with in few days. Whenever mention about Ubuntu (or for that matter any other Linux distro), I’m invariably asked whether the OS offers support for Apple’s iPod. The answer has always been “no” … until now. 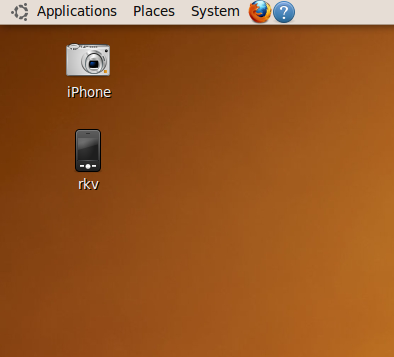 It seems that the Alpha 3 release of Ubuntu 10.04 “Lucid Lynx” offers out-of-the-box support for the iPhone and iPod touch devices. Integration seems seamless. The Nautilus file manager accesses the tracks, playlists and apps, while RhythmBox can integrate with the contents much like iTunes can (although it cannot play back any DRMed files you might have …). This has been tested using the latest hardware, and the latest firmware. In my opinion Ubuntu is fast becoming the most user-friendly and versatile of the Linux distros, and offering iPhone/iPod touch support only makes it even more user-friendly. This should help open up Linux to a whole new audience.